What is still interesting about Karl Marx 200 years after his birth? Why do people on both sides of the Atlantic read the works of this old philosopher of economics? 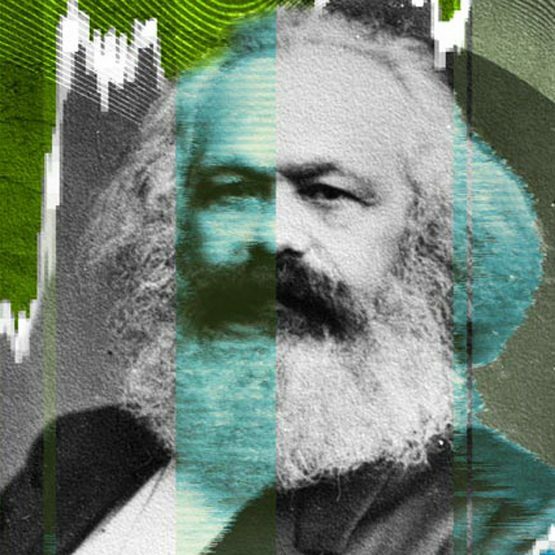 And what can we learn from Marx today? At the beginning of 2019, population registers in Germany were amended to include a third gender category. The option box is headed ‘divers’, which translates as ‘miscellaneous’ or ‘other’, and it was introduced for a dual purpose: to remove the burden from parents faced with deciding an intersex child’s future and to show that being different can also be normal. Politics has always played out on stages: from the popular assemblies of antiquity and to the live-feed public parliamentary debates of today, politicians have performed for their voters. Social media have both expanded and fundamentally changed this political stage. German cities are full of memorial sites. However, memorial culture has undergone fundamental changes in western Germany since the Second World War, and even more since the reunification. Many Syrian refugees are trying to find a new home in Berlin. Meanwhile, they are discovering places that remind them of their city, and allow them to map Berlin in a new way. While many European countries struggle with high youth unemployment, Germany is experiencing lower rates than seldom before. There is more to these promising figures than just the country’s strong economy. Sugar cubes, cooperatives, postcards: these inventions and achievements not only originated in Europe but also through European exchange. To present themselves as an attractive place to live, Germany’s urban centres are embracing innovative concepts for tomorrow's world of work. Multilingual skills provide pervasive opportunities, particularly as successful careers require international communication, which is essential for our children to compete in the workplace.